was born 1934 in Olomouc on the March. After the banishment from Moravia the son of a master carpenter raised on a farm near Hünfeld. In the fifties Tilgner studied zoology and botany in Frankfurt on the Main and worked until his retirement at the Natural History Museum at Lake Constance. 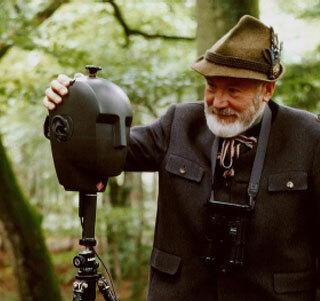 The environmentalist and well-known nature photographer, and since 1999 honorary member of the Soundscape Forum Basel, is recording “Nature Sound Images” for more than 35 years.